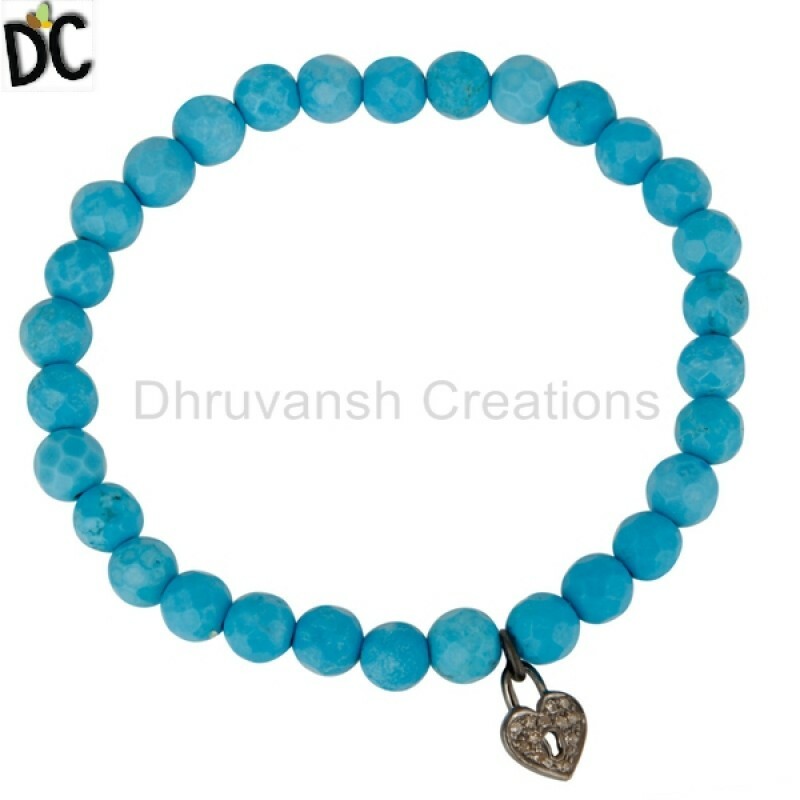 We are counted amongst the leading manufacturers, exporters, wholesalers and suppliers of an exclusive range of Precious and Semi Precious Gemstones Jewellery. These Diamond Jewelry are available in various designs that exactly meet both the traditional as well as contemporary choices of women. 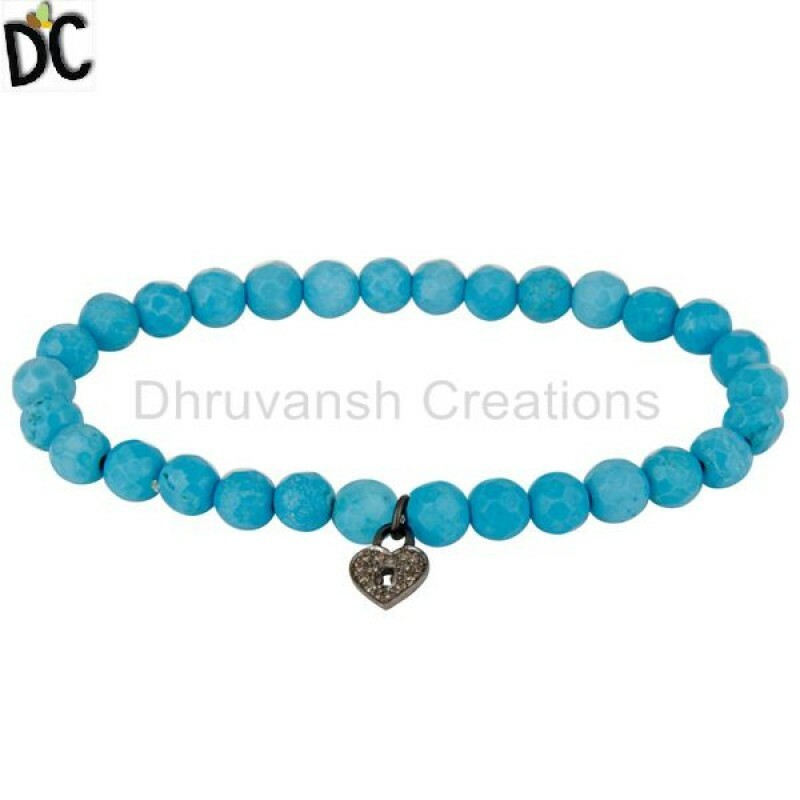 Our offered Jewelleries Pave Set Diamond Sterling Silver Lock Charm Turquoise Beaded Stretch Bracelet unique handmade jewelry Supplier Pave Set Diamond Sterling Silver Lock Charm Turquoise Beaded Stretch Bracelet are crafted from the best quality raw material and latest equipment in accordance with set quality norms. Owing to features like colorfastness, perfect finish, attractive design and alluring pattern, these diamond Bracelet Jewelleries are in great demand across the globe.